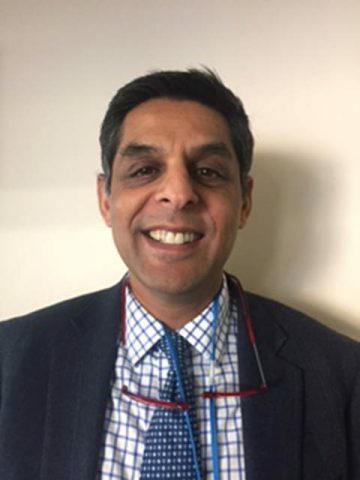 I am a Consultant Oral and Maxillofacial Surgeon at The John Radcliffe Hospital in Oxford. The unit I am presently working within offers the full range of oral and maxillofacial services and I am an integral member of the trauma service. I provide a TMJ service involving joint reconstruction in both children and adults utilising biological methods and alloplastic techniques. I have been in this post since 15 September 2003 following a comprehensive training in oral and maxillofacial surgery, including dual qualifications in medicine and dentistry and fellowships in dental surgery, general surgery and maxillofacial surgery. I am registered with both the General Medical Council and the General Dental Council and I am a member of the British Association of Oral and Maxillofacial Surgeons (BAOMS). I am a member of the Royal College of Surgeons of England and a member of the British and European Associations of Temporomandibular Joint Surgeons. I am actively involved in training and education and research. Previous positions of responsibility include Training Programme Director for oral and maxillofacial surgery in the region, Divisional Educational Lead within the Oxford University Hospitals Trust, Advanced Trauma and Life Support faculty member and Advanced Paediatric Life Support Instructor. I have in the past been a tutor for the Royal College of Surgeons of England and Chairman of the local speciality training committee for OMFS and Clinical Director of the department in Oxford. My training in dentistry, medicine, general surgery and maxillofacial surgery has all been within the United Kingdom with a sabbatical period in the United States. I have chaired paediatric maxillofacial surgery courses and contributed to numerous courses, lectures and demonstrations in the United Kingdom and Europe and teach on the internationally recognised Vienna TMJ Course. My main specialist interest areas are disorders of the temporomandibular joint and chronic facial pain. I am also one of the maxillofacial surgeons involved in craniofacial trauma. I also carry out paediatric maxillofacial surgery and I am also involved in temporomandibular joint reconstruction. This latter aspect of my service is related to both congenital disease in children and also to temporomandibular joint replacement in adult patients with degenerative joint disease. Coleman ME, Mcleod NMH, Saeed NR. Ankylosis of the Temporomandibular Joint Secondary to Neonatal Group B Streptoccal Sepsis. J Paediatrics and Child Health 2016. Doi:10.1111/jpc.13368. Abu-Serriah M, Ahluwalia K, Shah KA, Bojanic S, Saeed N. A novel approach to chondrosarcoma of the glenoid fossa of the temporomandibular joint: a case report. J Oral Maxillofac Surg. 2013 Jan; 71(1): 208-13. doi: 10.1016/j.joms.2012.04.005. Epub2012 Jun29. Kirchheimer S, Sainuddin S, Bojanic S, Saeed NR. Simultaneous custom made replacement of the temporomandibular joint and cranioplasty. Br J Oral Maxillofac Surg. 2012, http//dx.doi.org/10.1016/j.joms.2012.04.256. Bond SE, Saeed NR, Cussons P, Watt-Smith SR. Reconstruction of the temporomandibular joint by the transfer of the free vascularised second metatarsal. Br J Oral Maxillofac Surg 2004; 42: 241-245. Saeed NR, Kent JN. A retrospective study of the costochondral graft in TMJ reconstruction. Int J Oral Maxillofac Surg. 2003; 32: 606-609. Saeed NR, Hensher R, McLeod NMH, Kent JN. Reconstruction of the temporomandibular joint: autogenous compared with alloplastic. Br J Oral Maxillofac Surg 2002; 40: 296-299. Saeed NR, McLeod NMH, Hensher R. Temporomandibular joint replacement in rheumatoid-induced disease. Br J Oral Maxillofac Surg 2001; 39: 71-75. McLeod NMH, Saeed NR, Hensher R. Internal derangement of the temporomandibular joint treated by discectomy and hemi arthroplasty with Christensen fossa-eminence prosthesis. Br J Oral Maxillofac Surg. 2001; 39: 63-66. Saeed SR, Saeed NR, Brookes GB. Temporomandibular joint capsule prolapse: A technique of repair using autograft cartilage. J Laryngol Otol 1994,108: 30-32.